The power of the reflective narrator in novels & memoirs. The advice is to withhold criticism, of course, which Nick says he does—thus explaining how he got the story he’s telling—and then he blithely proceeds to judge everyone throughout the novel. But this clubby voice admits its own snobbery, and draws us in. Moreover, we soon learn that Nick is removed in time and space from the events he’s going to relate. He’s somewhere to the west of the East where the action took place, and he’s speaking as much as a year later. Thus he’s not exactly the character Nick of the story who’s in the midst of the drama and doesn’t yet understand it. On the third page we’re informed exactly where Nick is—back in his own “Middle Western city,” and thus in that that safe and distanced place said to be desirable if not necessary for memoir. Obviously it can figure in novels as well (see the opening of Conrad’s Heart of Darkness for another great example). The point here is that the writer possesses no mere story, unfolding with plot’s primitive “and then,” but instead offers a tale from someone who has meaning if not wisdom to impart along with exciting events. This is why “persona” is a more precise and useful term than “voice,” I think; the point is whose voice we hear, not what kind might be ginned up. Perspective is Nick’s promise in Gatsby’s first pages. And we know that the man who tells us that he withholds judgments isn’t in fact the same man in the action who levies judgments. That is, the narrator knows something now that he didn’t then. He knows how Jay Gatsby’s misplaced love ruined him, and knows which supporting players properly to condemn. Unlike civilians who are just living their lives, narrators have stories to tell—and they have the distance to weigh significance. It is strange how this literary technique of the reflective or distanced narrator does not kill unfolding plots but adds a layer of narrative depth that readers enjoy. I wonder if, like stories themselves, this facet of narrative is in our DNA? Around campfires and hearth fires, the survivor of the hunt or the battle told the tale. So we trust and we crave the authentic witness. If Gatsby represents one part of Fitzgerald’s personality, the flashy celebrity who pursued and glorified wealth in order to impress the woman he loved, then Nick represents another part: the quiet, reflective Midwesterner adrift in the lurid East. . . . Nick is also Daisy’s cousin, which enables him to observe and assist the resurgent love affair between Daisy and Gatsby. As a result of his relationship to these two characters, Nick is the perfect choice to narrate the novel, which functions as a personal memoir of his experiences with Gatsby in the summer of 1922. Alas, like this post or any exposition about Gatsby, SparkNotes’ summaries, chapter by chapter, are dead beside this slender, lambent novel. And Gatsby is still great qua story, intricately crafted and with powerful sustained scenes, its prose piercingly lovely. Fitzgerald knew how to deploy an adjective, and no one places a semicolon—or a dash—better than he. Gatsby’s very paragraphing feels perfect. There’s yet another movie of Gatsby in the works, with Toby McGuire as Nick; the gifted Leonardo DiCaprio will attempt a believable Gatsby. The problem with the book as a movie seems to reside in Gatsby’s “old sport” line, his awkward attempt to fit into the upper class: it feels too unreal, all the same, even in the novel. That phrase, which epitomizes Gatsby’s pose and his opaqueness as a character, in both the novel’s world and in my reading experience, is the proximate reason movie adaptations have been turkeys. Fitzgerald died at only forty-four, in Hollywood. He was working on a new novel but considered himself washed up. When he’d published The Great Gatsby, in 1925, he was about the age of Nick Carraway, twenty-nine turning thirty. Sometime afterward he lost his way, and his middle-aged three-part essay “The Crack-Up,” which Esquire used to reprint periodically and still offers on line, is breathtaking in its despair and its sustained cynical rage. But Gatsby survived Fitzgerald and will again survive Hollywood. It’s a book about the death of youth, but it’s such a young book, surging with feelings. Its sadder-but-wiser narrator, who’s still only thirty, is just mature enough to be a credible commentator on youth’s follies. Fitzgerald was inspired with Gatsby, was in full command of narrative craft, and slaved over its revision. In this fable from a man ruefully musing upon his last wild summer, somehow Fitzgerald caught forever the firefly glimmer of youth’s optimism and yearnings. Richard, I make it a point of reading this book every year for many of the points you make. And you make a great point of the narrating having proper distance—emotionally and in some cases physically. Thanks, Brendan. It’s on my annual reading list again too! This is one of your very best. 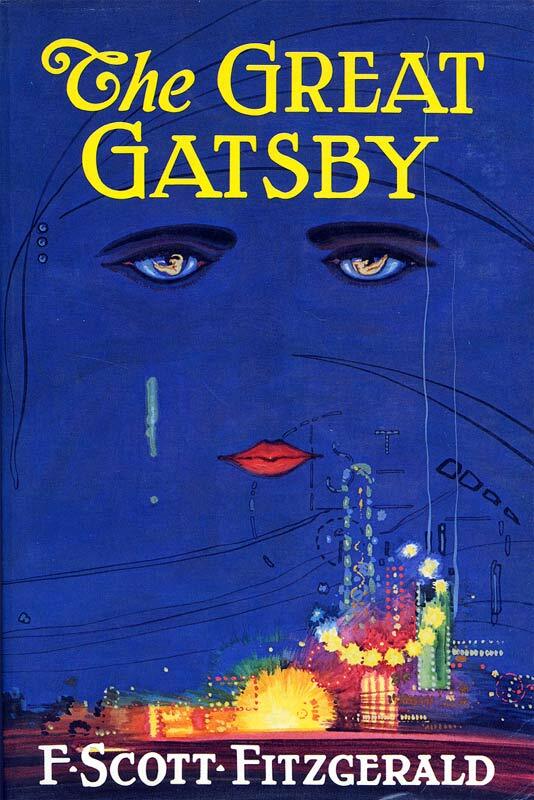 I loved the insights, the lyrical quality of it, and your comments on the “technical”–voice and perspective–points of Gatsby. Makes me want to go back and read it again. I would be interested to learn why you feel the movie versions of Gatsby didn’t work. For that matter, be interested in your views on the larger issue of the pitfalls of translating lit onto the screen. A well worn-subject, of course, but I would be interested in your views. Thanks for your kind words, Richard. I shouldn’t have made myself out an expert on Gatsby on film—my critique does boil down to the impossible awkwardness of that “old sport” line of Gatsby’s and perhaps what it epitomizes, which is the writer’s difficulty in making him fully believable. Fitzgerald labored in the rewrite to make him more real, but to me at least he comes off as less vivid than the other characters. I can’t see him like I can the others. I did, however, have a more specific reference and cut it: the last big movie-house adaptation that I’m aware of, the one with Robert Redford as Gatsby. I hated it for several things as I don’t recall, but probably mostly because I have a grudge against Redford for what he did to Judith Guest’s perfect little novel Ordinary People. And I guess that bears on your question about literature into film. In that novel, the family are very comfortable, upper middle class people whose lives are torn apart by the death of one of their sons in a sailing accident. The other boy, who survived, tries to kill himself, and the novel unfolds in the wake of that. His problem beyond guilt is his repressed mother who can’t handle her own grief or reach out to him. Redford put the family in a ridiculous mansion, making the irony of the novel’s title into a lame joke, and cast Mary Tyler Moore as a total ice queen. The sensitive boy is overplayed by an overacting Timothy Hutton, who in a key scene is utterly unlike the protagonist in the novel by lashing out at his mother—by barking at her like a dog. Ugly in all ways. Flawed books sometimes make good movies, though. To me, To Kill a Mockingbird drags in its three-year narrative but the movie seems perfect. A superb adaptation of a great book was Sean Penn’s Into the Wild, based on Jon Krakauer’s wonderful narrative nonfiction immersion. I was shocked by how much more vivid the movie was—that’s film’s great advantage, but of course it falls short in ability to depict interior life. Penn, however, transcended that hurdle with some flashbacks, narration by the protagonist’s sister, and a dramatization or two of the guy’s meltdown. Both mediums use a braided narrative, but it really pops out in the film as well. The surprising thing there is how alive and suspenseful and compelling his journey to the Alaskan bus was, given that we know right away he made it to the bus and that he died there. Richard, this is a drop-dead brilliant meditation on one of the great works of American literature. It must be a great adventure to be one of your students. How do I know? I am one. Sitting invisibly in the first row. Eyes like the dust jacket, aglow. Shirley, you have made my day as I trudge off to class, a little extra spring in my step. My students are part of my gratitude prayer—though I sometimes call them little varmints they are rosy cheeks, too, every one. I almost mentioned rosy cheeks. Decided to forego it. You knew. I too loved this post, Richard, and I think you do a marvelous job of delineating the retrospective narrator vs. the experiential character living the story the narrator is now relating from his/her position of knowledge and understanding–whether in fiction or memoir. How’s that for awkward! Anyway — thanks for your thoughts, and for a fine revisit of that wonderful novel. Fitzgerald was a St. Paul boy, of course, and my husband, another St. Paul boy, did his senior thesis on him. I’ll make sure he reads your post! Thanks for this post Richard. I’m always amazed by the many layers of The Great Gatsby. It really is a book that can be read again and again, and you still learn something from it every time! Thank you, Elizabeth. I have seen the novel analyzed so many ways; it truly is complex, yet it reads simply and appears simple on its face. Those layers, as you say, may be why we keep coming back to it and seeing new things.